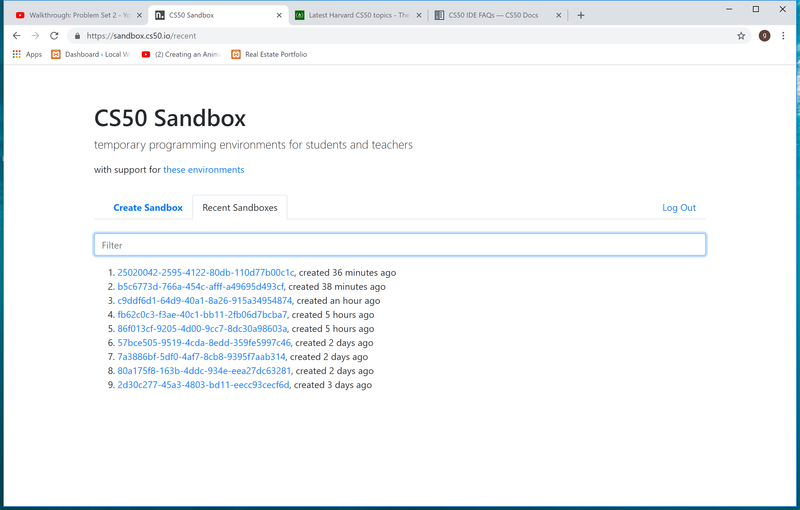 How do you get the sandbox to save your work? I have a bunch I created at https://sandbox.cs50.io/recent but when I try to open any of them most of them get stuck and do not load up or show ‘Terminal Disconnected’. Edit: I tried again to refresh my browser, I dont see the terminal errors, so now I have access to the terminals but no files are loading in the sidebar and I cant type in the code editor. How do I Rename Sandboxes, and delete the bad ones that arent loading up? 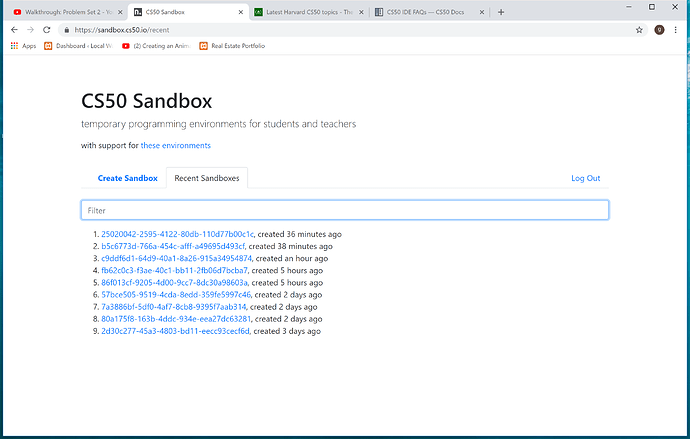 As right now as you can see in the photo the sandboxes are named a bunch of random strings and I cant find what Im looking for. This documentation says the best way is to choose file, then Download project, I dont see where I have the option in the new sandbox to choose file and download project, and isnt the whole point of the sandbox that you dont have to keep downloading projects every time you want to save your work? This https://ide.legacy.cs50.io/ it was the one I was connected to through cs50.tv its no longer being used?